The Greek translation of Rhododendron means ‘Rose tree’. There are about 1,000 varieties of the plant spread throughout North America, Europe, Asia and Australia. Rhododendron is the National flower of Nepal. The hills and mountainsides range of Nepal are decorated with its wonderful variety of different colours and shapes. Its leaves are used as incense in Buddhist Monasteries, and its flowers are used as offerings to pay homage and for decoration purpose at social occasions. 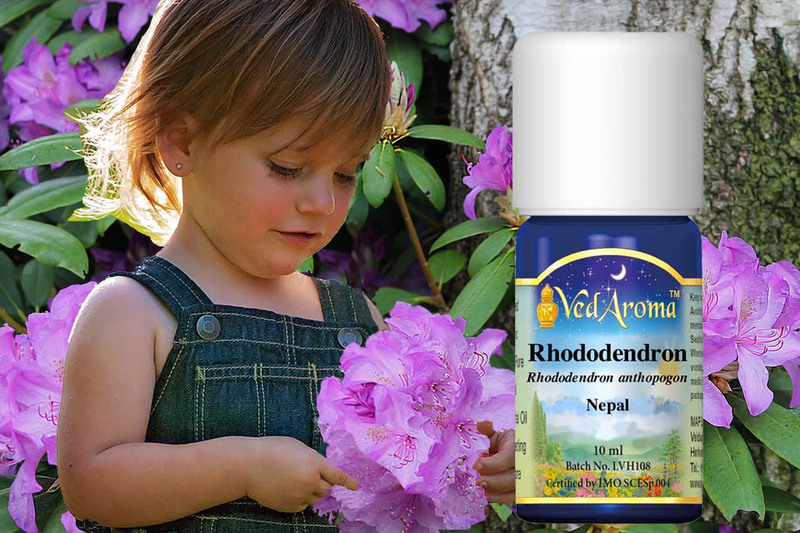 MAHARISHI AROMA THERAPY SERIES #46: Learn in this video about the healing properties and application of Rhododendron, Essential Oil. Subscribe to our Newsletters to watch this video series, and indicate in the comments field if you would like to watch the video on Rhododendron or any other Essential Oil.